CONTRACT-MANUFACTURING & CUSTOMISATION OF CORPORATE ORDERS MOST-WELCOMED! The hot favourite variant of all times! 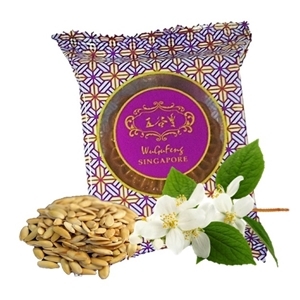 We use pure lotus paste that is prepared with our own recipe and imported directly from Hong Kong. The sugar level of our lotus paste is maintained at a lower-than-market level hence our paste is not so sweet, smooth and very silky soft. Salted egg yolks are carefully selected to ensure that the yolk size and oil level is just right for the making of mooncakes. 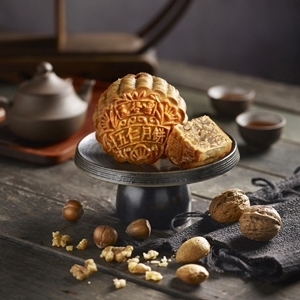 This mooncake is made using not-so-sweet, pure white lotus paste imported directly from Hong Kong with nicely roasted macadamia nuts added for more texture and fragrance. 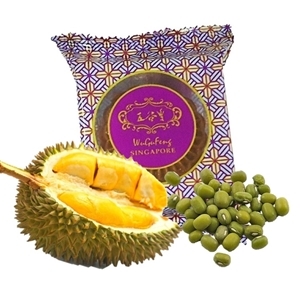 Salted egg yolk is specially chosen, with just that right amount of oil and saltiness to fully compliment the white lotus paste. 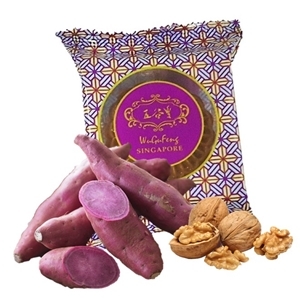 Lightly roasted macadamia nuts is added into our pure silky lotus paste to give it a trendy feel and a crunchy texture. The fragrance of Macadamia just blends perfectly with the aroma of lotus seeds, giving it a taste so irresistible that one just yearns for more! 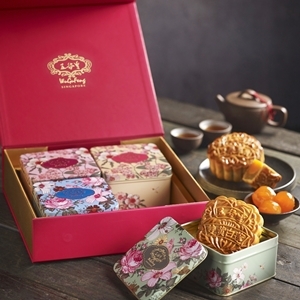 The specialty about this mooncake is that it is the only savory one amongst the wide sea of sweet mooncakes. It has superb bite-feel and is very nutritious. Very unlike the oily, crispy & flaky western puff pastry, this “Su Skin” is an ancient passed-down formula of Asian traditional pastry that is well-layered, superbly soft and non-oily. When eaten with the carefully selected and processed salted egg yolk, the taste is so good that it is beyond what narrative description can rightfully do. 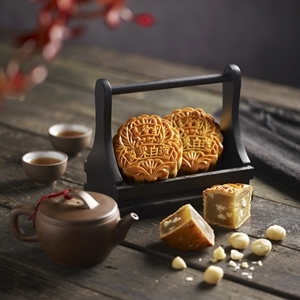 Our mid-autumn bunny has a real cute & adorable outlook, on top of this, it has macadamia nut with white lotus paste fillings which is a very popular and trendy flavor. The most attractive draw about this item is the embroidery bag that it is being wrapped in, this not only appeals to the young but also to the affluent working class. 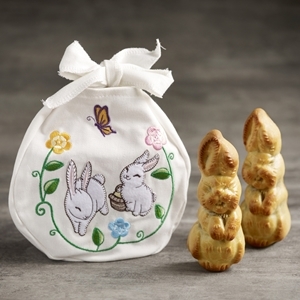 As the bunny is a symbol of gentleness & friendship, this not only can be an ordinary festive gift to the children, it can also be an affordable gift of “good taste” to any adults of any race & religion. 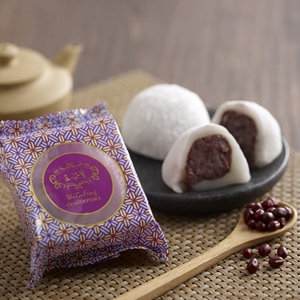 For those who are more health-conscious this variety of Purple Sweet Potato White Lotus mooncake would be a refreshing choice. It is nice and tame and is very smooth & comfortable to saviour. Top grade green tea scented with pleasing aroma from jasmine blossoms is infused into our pure lotus paste to give it just that subtly sweet and highly fragrant flavour. It is one of the most popular pastes amongst thousands of customers whom we have conducted our sampling sessions with! 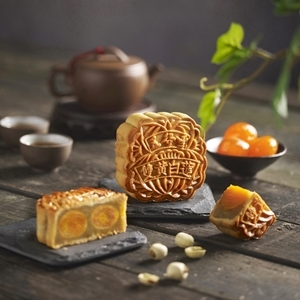 Our Hong Kong Master Chef has added Melon Seed into the mooncake to give it a twist in the bite-feel. 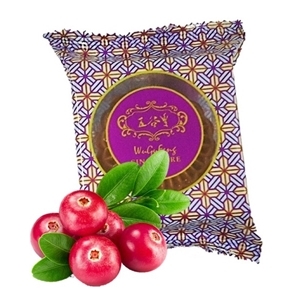 Packed with antioxidants, vitamin C & fiber, cranberries is known to be one of the best and super-tasty fruits available. 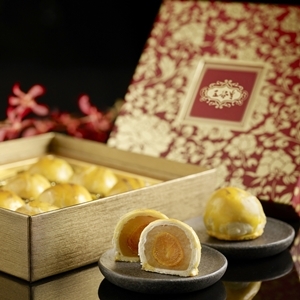 Our Master Chef LEI added sun-dried preserved cranberries to the mooncakes to give it an appetizing slight-sour taste, making it more flavorsome & palatable. 4 of our self-formulated pastes is encrusted whilst still hot, with Japanese Silky Snowskin, blast-freezed, then immediately individually wrapped to ensure top-most freshness and hygiene standards.